Be the Change is an annual national day of service coordinated by SAALT in order to inspire and foster civic engagement through volunteerism, community service, and community building. This year, Be the Change will take place on Saturday, October 4th on campuses and in cities across the country to remember Mahatma Gandhi and other South Asian leaders who have devoted their lives to public service. Through Be the Change day, we hope to build and strengthen leaders through coordination and participation of the event across the country. This year’s theme of Be the Change is “Stand Together, Serve Together” showcasing how individuals unite in order to give back to their communities in the spirit of service and their commitment to creating lasting change beyond Be The Change 2014. 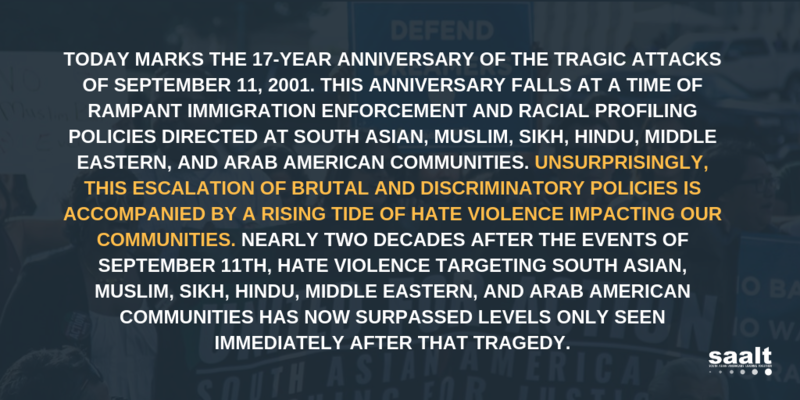 This is an opportunity for South Asian Americans and their allies across the United States to engage in collective public service activities that will lead to further civic engagement, collaboration, and unity in localized and national spaces. This guide is designed to assist Be the Change planning teams and provide step-by-step guidance for implementing Be the Change projects. Throughout your planning process, SAALT will support your efforts by providing direction for local partnership options, templates for promotional materials, tips for recruiting volunteers, and suggestions for keynote speakers. We wish you the best with your local efforts and look forward to working with you to make Be the Change 2014 an empowering and transformative event for everyone. Download the Be the Change 2014 Planning Team Guide!